Two entrepreneurs in Orange County joined forces to create a new real estate investment and development firm. 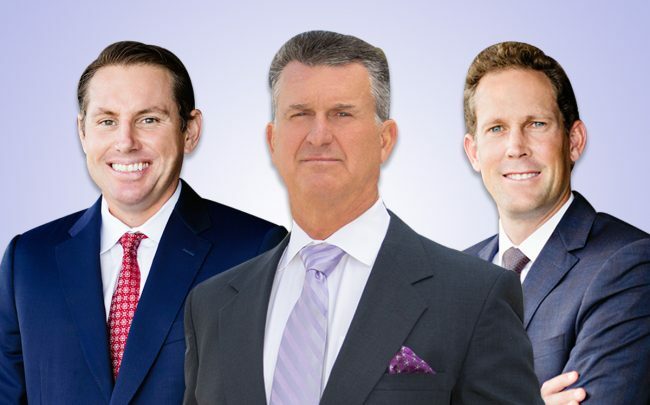 John Drachman, founder of Stillwater Investment Group, and Sean Rawson, founder of the Waterford Group, have created the Waterford Property Co. Yashaar Amin is a partner and chief operating officer. Collectively, the two founders have completed $400 million in acquisitions since 2015 — the bulk of which are in Los Angeles County, according to a release about the new venture. They plan on investing in the 20- to 150-unit residential projects, as well as value-add office projects. The firm has also already received entitlements for a 650-unit multifamily project in Pomona, the largest multifamily entitlement of its kind in the county last year, the founders said in an e-mail. Paul Klink was recruited to lead the industrial division at Newmark Knight Frank. As executive vice president, Klink will guide the expansion of the firm’s industrial capabilities and recruit new industrial and capital markets experts to the team. Klink is joining from Cushman & Wakefield, where he served as executive managing director of investor services. He will be based in the firm’s Orange County office. Christy Haubegger, an executive at Creative Artists Agency, has been appointed to Hudson Pacific Properties’ board of directors. She will replace Michael Nash of Blackstone. Haubegger leads multicultural business development at CAA. Previously, she founded Latina magazine in 1996, and worked as a producer on “Spanglish.” She is one of two women on HPP’s board. Suffolk, a leading national building contractor, hired Mark Turner as its new chief operating officer. Formerly with Webcor Builders, Turner has worked on megaprojects including the Century condos in Century City, as well as the L.A. Live Marriott/Ritz-Carlton in Downtown Los Angeles. In his new role, he will be responsible for leading the construction operations of Suffolk’s projects in L.A. and Southern California. Universe Holdings also tapped a new chief operating officer recently. Jonathan Cohen joined the Century City-based investment firm to oversee its national expansion. His new role involves identifying value-add residential property investments of 150 units or more, starting in the West Coast. Before Universe, Cohen worked as a managing member at a consultancy for 25 years, where he advised family offices and real estate firms in the multifamily sector.